This children’s book is based on the popular Mexican birthday song “Las Mañanitas”. 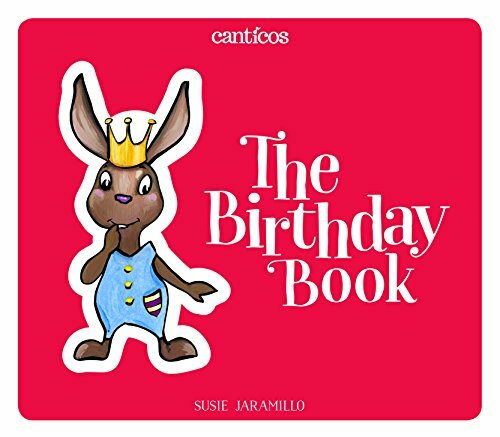 Book summary: Fans of the series will recognize a cast of characters from the Canticos collection who wake up Sammy the bunny on his special day and then partake in a joyful, cake-filled celebration, complete with mariachi and a piñata. About the Series: Canticos is a collection of the most beloved nursery rhymes and children’s songs from all over the Spanish-speaking world. Canticos creates bilingual books, apps, and sing-along videos. If you have any questions about this product by Encantos, contact us by completing and submitting the form below. If you are looking for a specif part number, please include it with your message.